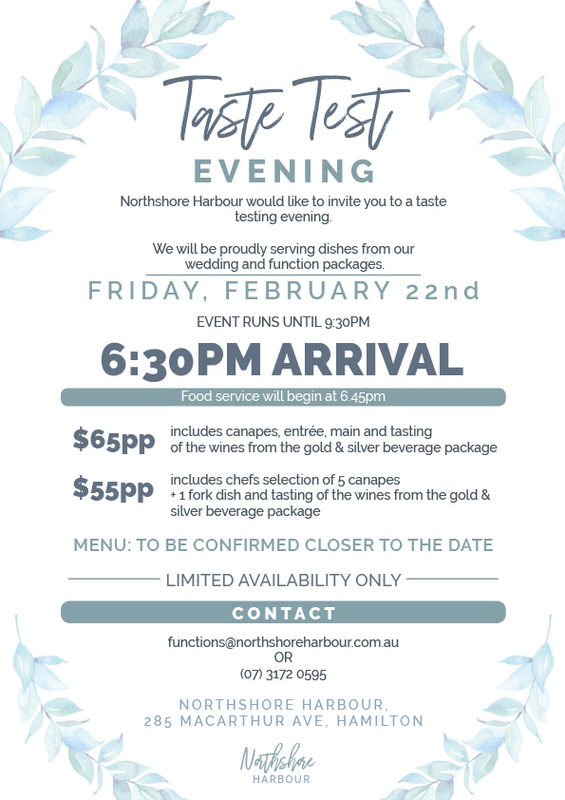 Northshore Harbour is thrilled to be able to host our first taste test evening of 2019! On behalf or Northshore Harbour and Riverlife we would love for you to join us. Whether you’ve booked your wedding already or you’re looking to book your wedding, we’d love to have you! We have options of tasting the canapes menu or the 2 course menu. as well as the wine to taste from both the silver and gold beverage packages!